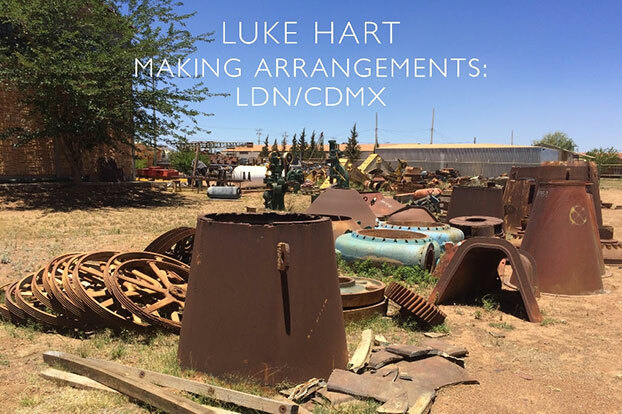 WBG London Projects are delighted to announce Making Arrangements: LDN/CDMX, a solo exhibition by Luke Hart which traces the artist’s relocation from London to Mexico City. In Spring 2017 Luke Hart discovered that the Hackney Wick home and studio where he had based himself for the past eight years was being pulled down and redeveloped. He made the decision to leave London and find a space that could accommodate his expanding and increasingly ambitious sculptural practice. Now based in Mexico City, but traveling and working internationally, Luke has been evolving his practice and working methods to make the most of the facilities and opportunities that this new city affords him. He develops his sculptures through drawings and in maquette form – as represented here – alongside working at considerable scale, incorporating found and locally sourced material and local industrial expertise. The exhibition consists of a number of new works on paper related to a major project that I undertook in the last year in Mexico City and Cananea, Mexico, as well as the prototype sculpture that led to this project, and was made before I left London. The above image shows the scrap yard in Cananea where Manuel Muñoz’s collection and workshop are. 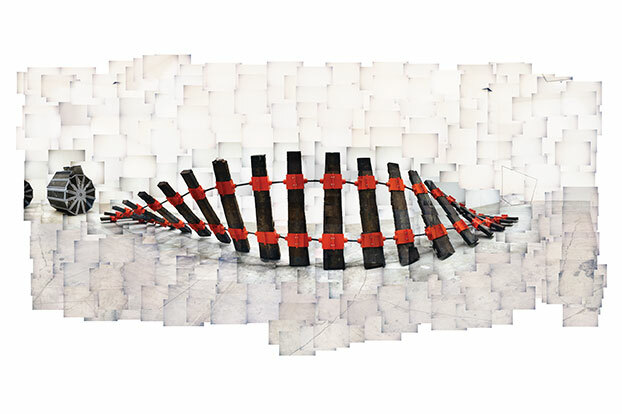 The large funnel shaped part in the foreground was cut into 19 pieces for the 2-tonne sculpture Chain-Link Twist II: Unrolled Cone, that was exhibited in Synergia in Mexico City early this year.